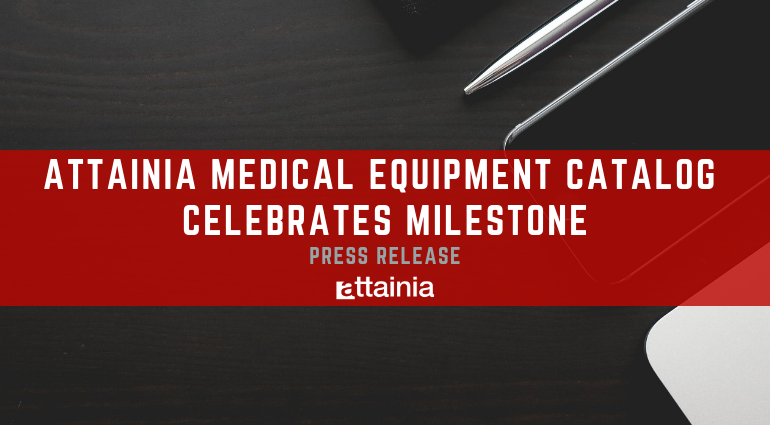 Attainia, an online source for capital equipment and management software in the healthcare industry, is proud to announce that the Attainia catalog has reached over 60,000 supplier SKUs. Attainia celebrates this important milestone with its supplier community. Due to the strength of the supplier community, Attainia software allows healthcare systems to find and specify equipment from many accredited manufacturers such as Steris, Skytron, Getinge, Stryker, GE, Siemens, Philips, Belimed, Blickman, and Solaire for their routine replacement and construction projects. “This year, our catalog has had its highest growth rate since its inception due to an increase in suppliers participating in our program. The response to our new offering has been overwhelming and our internal team has done a fantastic job supporting the increased volume of data. Next stop 100,000 SKUs!” said David Newton, VP of Operations at Attainia. With the introduction of the digital supplier portal, Attainia’s supplier members can now gain insight into traffic and visibility to their products in the Attainia catalog. With over 1,000 member hospitals, Attainia is the world’s most widely used equipment planning, budgeting, and tracking system software for healthcare equipment. Attainia’s supplier program enables healthcare system planning capital equipment to research, find, and specify equipment from top manufacturers.